The Lakco Minnow Scoop makes moving minnows from a bucket an easy task. 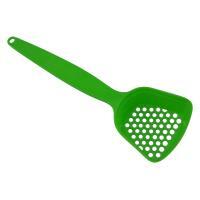 This plastic minnow scoop is lime green for easy visibility. The Lakco Minnow Scoop is made in the U.S.A.
HT Enterprises Minnow Nets feature durable, white mesh netting and wire handle forms. 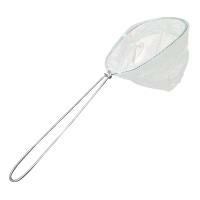 These nets can be used for dipping minnows out of buckets, catching trout stream insects, and with aquariums. Each net is approximately 11 inches in length. The net opening measures 3 1/2 x 5 inches. 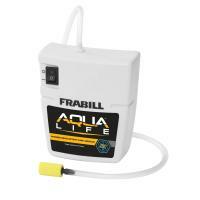 Eagle Claw Minnow Traps are an easy way to catch fresh minnow and keep them alive for whole day of fishing. 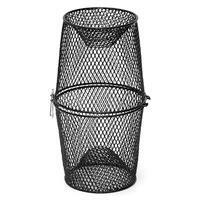 This Minnow Trap features a black vinyl coated wire mesh construction, one inch inward coned-shaped entrances, and a clip to secure the two halves of the trap. Simply place your choice of bait inside and the minnows will funnel in through the openings. Eagle Claw Minnow Traps are black in color. 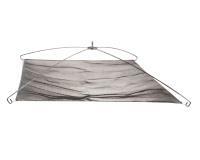 The Ranger Umbrella Drop Net is constructed from strong galvanized spring steel wire and high quality cotton. Add your favorite bait to the middle of the open net, lower it into the water, pull it up and check out your haul! 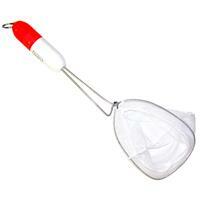 The Ranger Umbrella Drop Net is perfect for catching minnows and other bait fish on your own! 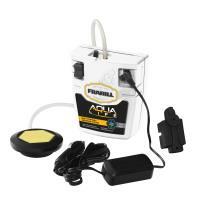 The Frabill Aqua-Life Aerator Accessory Pack fits all Frabill aeration systems as well as most other portable aerator units of similar style. 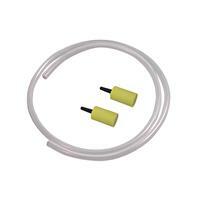 Each package contains 30 inches of non kinking premium air hose and two high output air stones. Length: 9 in. - Width: 3 1/4 in. Length: 11 1/4 in. - Width: 3 5/16 in. Length: 12 1/2 in. - Width: 4 7/8 in.